Bamboo flooring was an innovative creation when it first swept the market, and here at Knox Carpets, we took note. We brought in the best quality bamboo flooring around and it began to fly off the shelves. But one thing we pride ourselves on here at Knox Carpets, is that the buck doesn’t stop at the door. Our relationship with our customers continues through the entire life of our products. Although they’re already extremely durable, we want to ensure that you’re equipped with the tools and the know-how to have them gleaming forever. 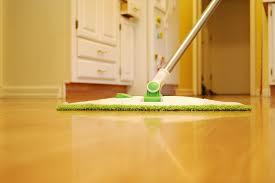 Vacuum or sweep your floor on a regular basis to remove grit, sand and dirt. We recommend doing this at least twice a week. If spills happen, quickly soak them up with either a dry mop or a dry towel. The Bona Pro Hardwood Floor Cleaner and Floor Mop are great for general cleaning. Do not use a wet mop on a hardwood floor. The standing moisture is likely to cause permanent damage. Make sure that you purchase felt tips or protective caps for all of your furniture legs. If you’re working on your feng shui, pick up your furniture instead of sliding it around. Make sure that the nails of your pets are nice and short so that they don’t cut the floor. Keep an eye on the humidity of your space. You want it to be between 40% and 60%. There are many products which you really want to avoid. These include but aren’t limited to- wax-based products, acrylic finishes, bleach, oil soap, acidic materials like vinegar, mineral spirits and ammonia cleaners. The above will help you keep your bamboo flooring clean, but what happens if a scratch occurs? If it’s white, you can rest easy- you haven’t compromised the finish. It’s repairable. Just use your regular flooring cleaner, and you can eliminate any blemishes. These are the most common type of scratches. There are also those that go slightly deeper but do not expose the raw wood. These can be lightly buffed out if you use a white polishing pad. This will shine up the dull area and frequently make the scratch less obvious. Expert tip- If you’re removing stains from your bamboo flooring, work your way from the outer edge towards the middle for the best results. If your floor has been damaged through the finish, this can be minimized with the help of a colored wax. Examples include Color Rite Caulk and Mohawk Fill Sticks. They’re wood filling products that reduce the appearance of any blemishes that you can buff out. Come on in or give us a call to check out our bamboo flooring offerings and experience the difference that they can make in your home or business.